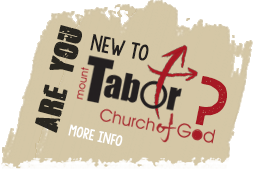 Mount Tabor is a place where life-change occurs! Everything we do at Mount Tabor is designed to help people begin a relationship with the loving God that created them and to help people continue in their journey of faith. When you arrive, you will find friendly volunteers to help direct you and answer any questions you may have. Here at Mount Tabor, we’re okay with you not being okay. We’re just not okay with you staying “not okay.” We want to help you take your next step. Our worship environment is casual and welcoming! At Mount Tabor you’ll experience passionate worship of the God who created us all. Everything about our worship environment is designed to help you connect with God. Our praise team plays music that is upbeat, energetic, and often times reflective. (On a side note…they’re really good too!) Our worship services incorporate drama teams, special music, and video presentations. It is important to note our worship services are not designed to be “entertaining” – these elements are a part of how we prepare to hear a message from the Bible and respond to what God is saying. At Mount Tabor we do have a dress code! Our dress code is simple, “wear clothes.” Whether you wear shorts and sandals, jeans and a t-shirt, or a coat and tie, you’ll always be welcome here. Prepare to hear the Word of God in ways you may have never heard it before! It is vital that every person, no matter their spiritual background, clearly understands the Word of God as it is presented in the Bible. The teaching is relevant, creative, not boring, applicable, not confusing, challenging, and not condemning. So we dare you to come in with an open heart and mind…. and expect God to do something great in your life… you might not ever be the same! Our volunteers strive to make Mount Tabor-Kids the best hour of your kids’ week! 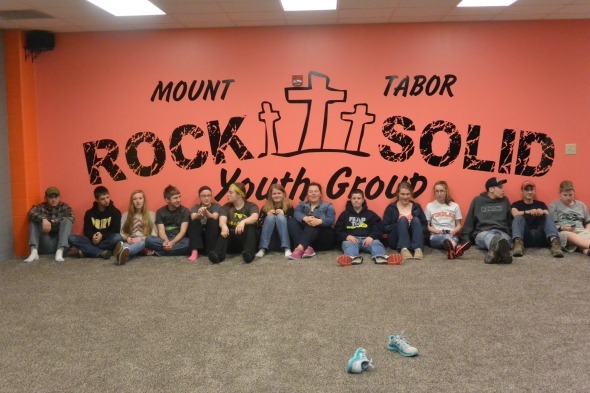 Mount Tabor-Kids is our weekend experience for your children from nursery through 6th grade. Every age appropriate environment is designed to help kids experience God first-hand and learn to trust Him. Energetic and caring adult volunteers strive to make Mount Tabor-Kids the best hour of your kids’ week! If you’re planning on joining us this Sunday feel free to come in early to take a tour and meet our Mount Tabor-Kid’s Team.